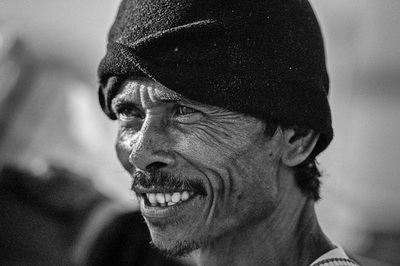 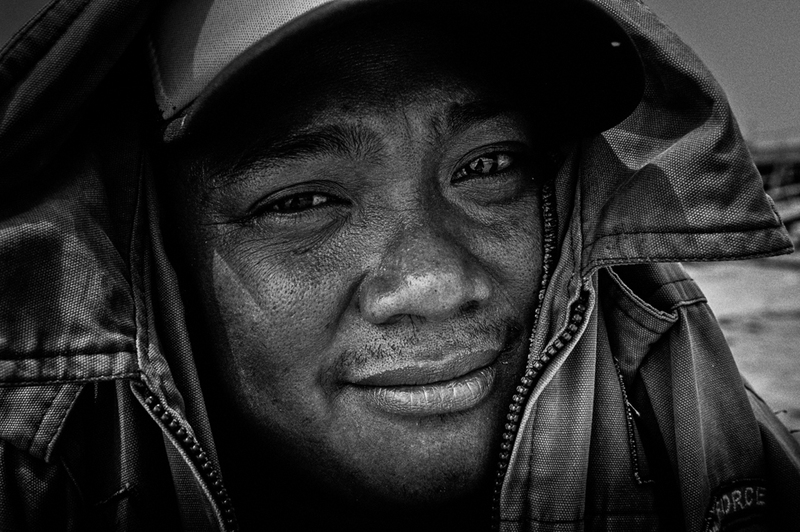 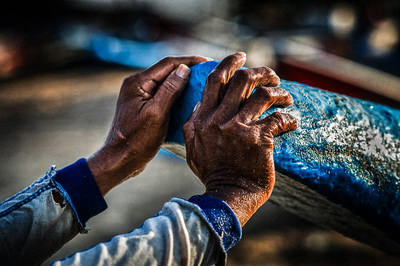 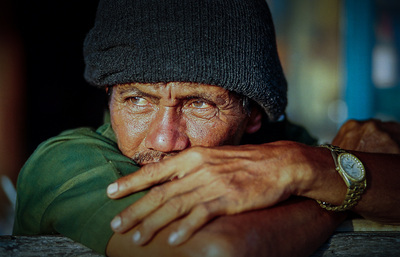 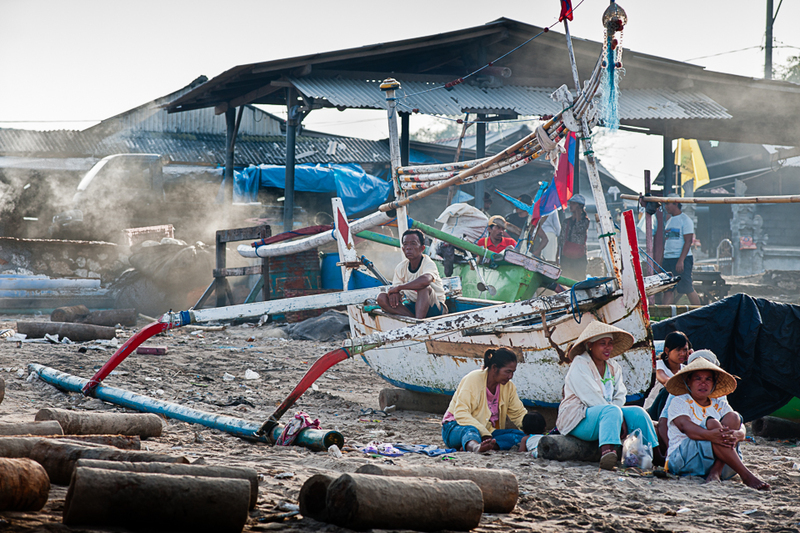 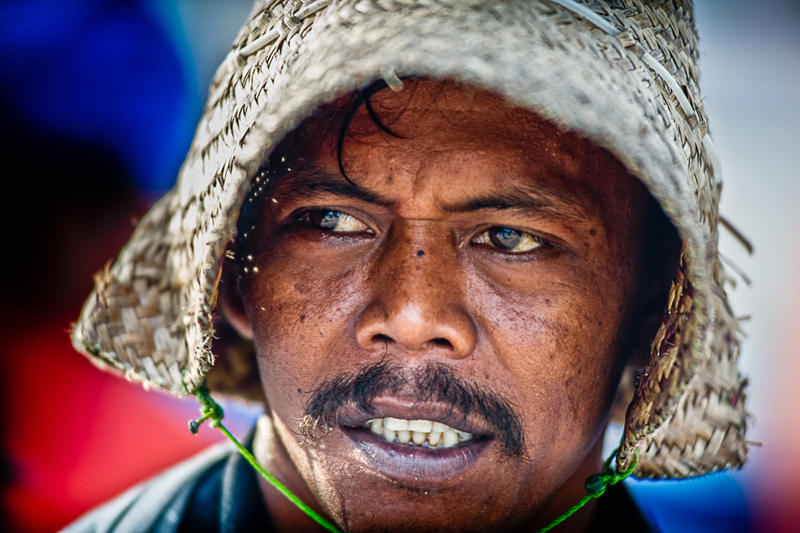 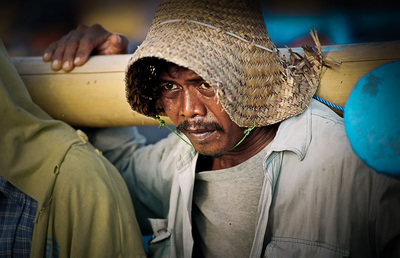 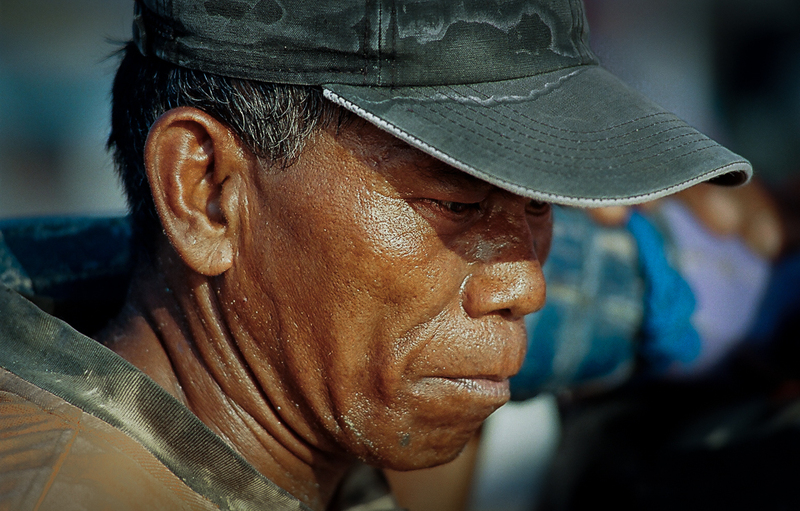 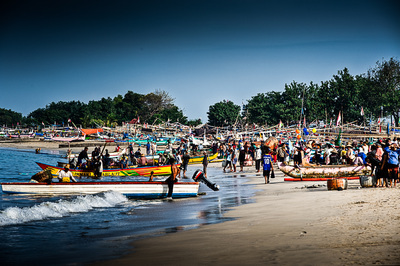 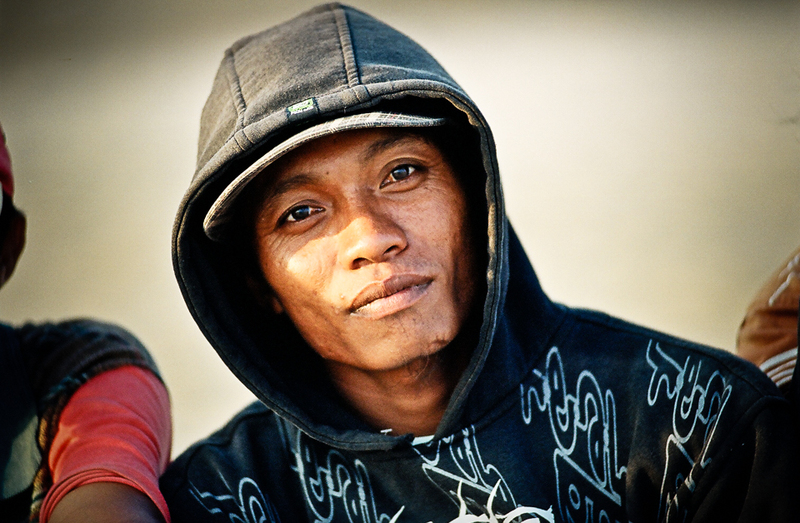 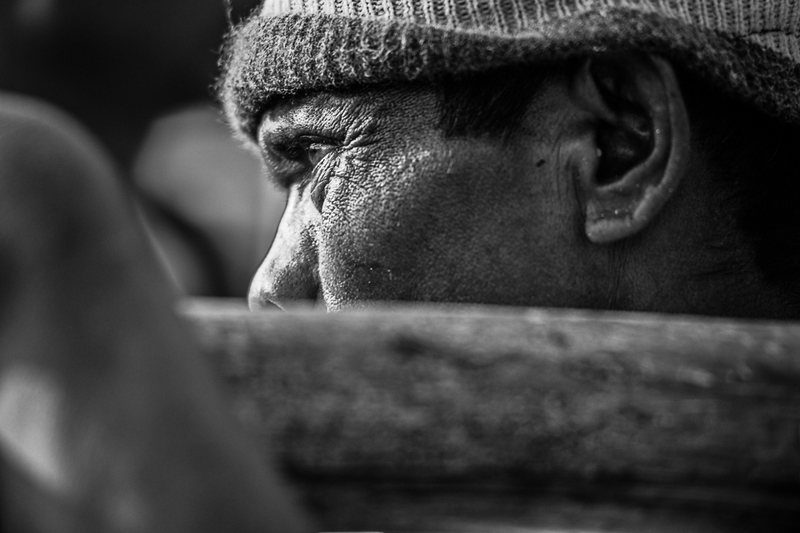 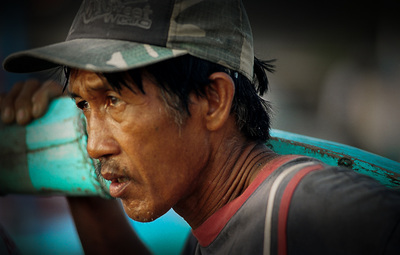 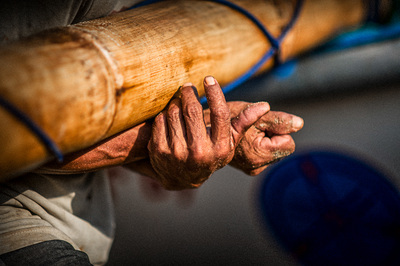 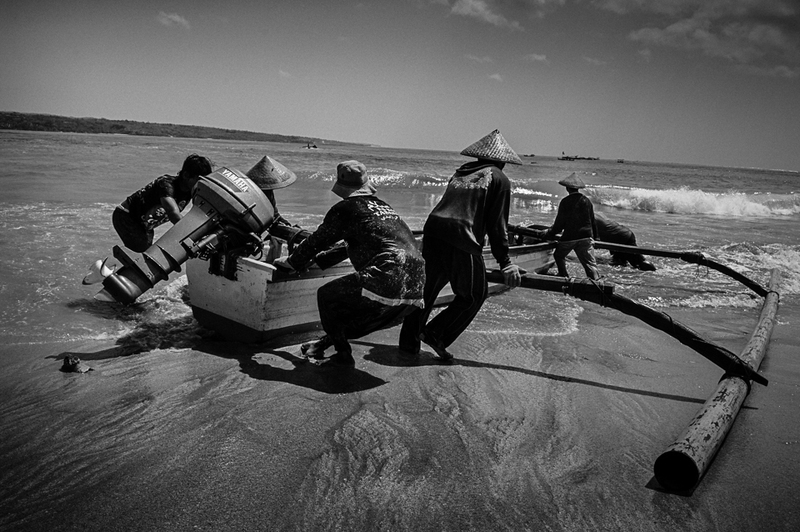 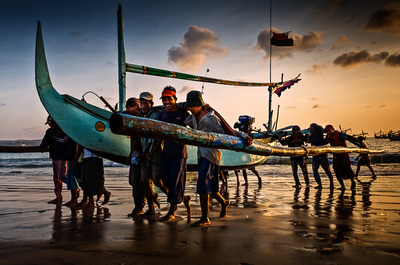 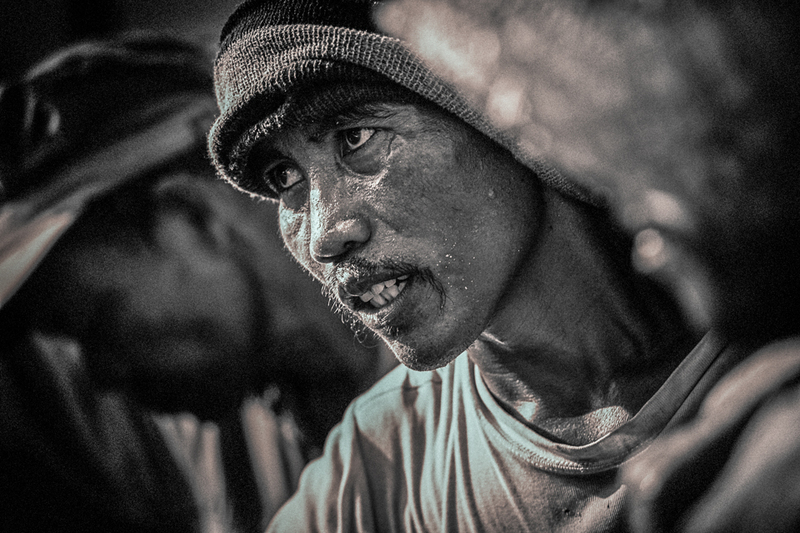 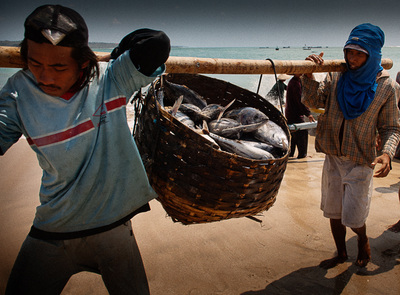 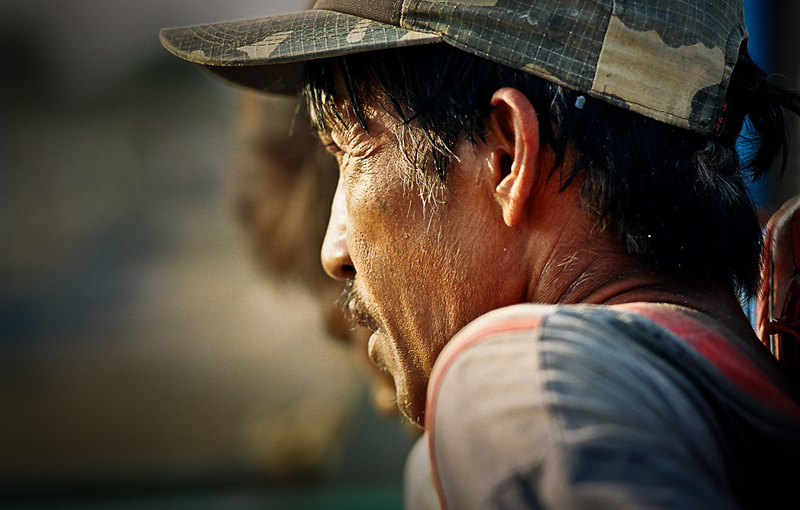 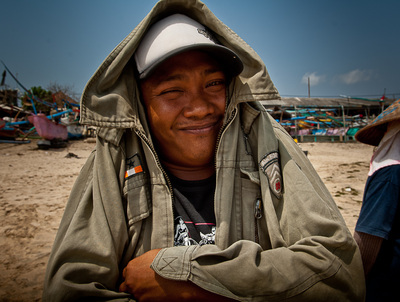 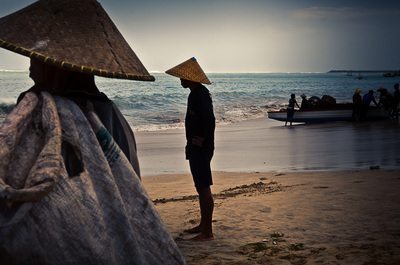 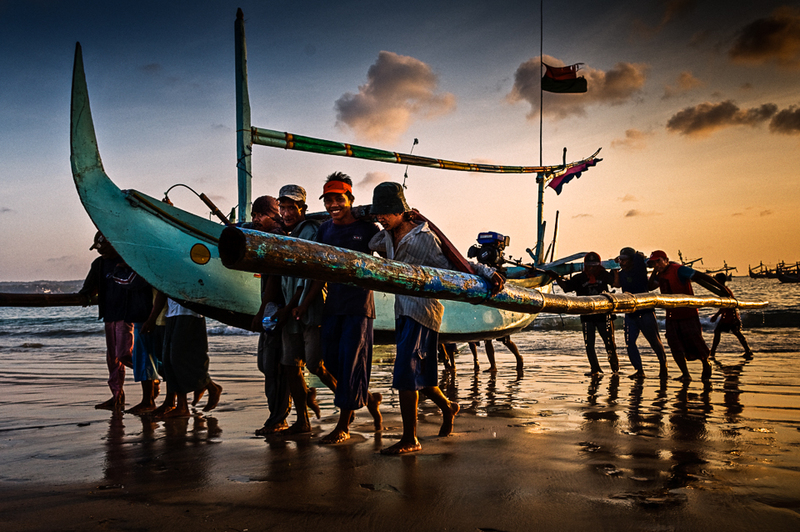 Every morning in Jimbaran Bay, South Bali, the fishermen bring their perahus* to shore to unload their nightly catch of Tuna and other fish species while others leave the bay of Jimbaran in search of more fish. 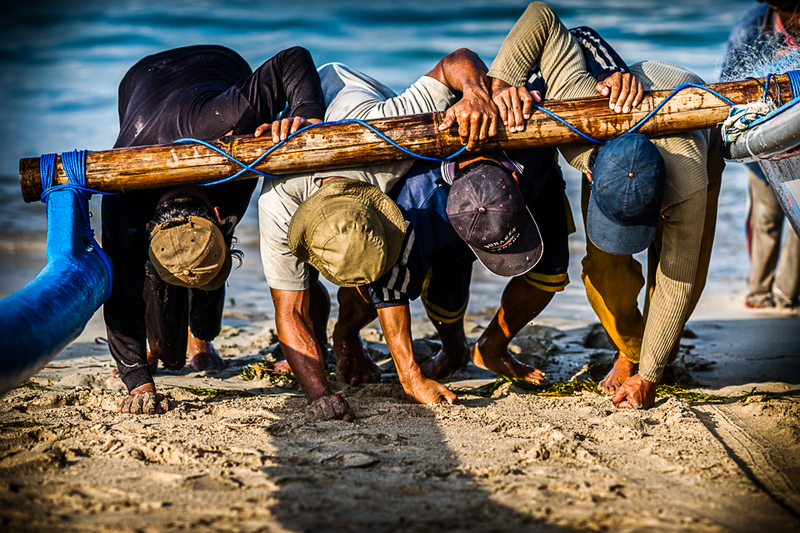 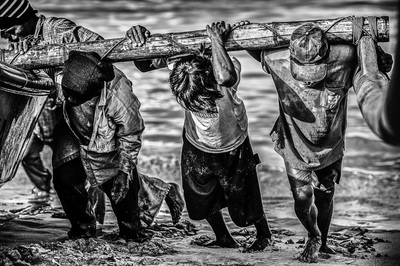 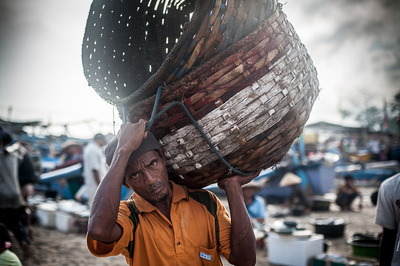 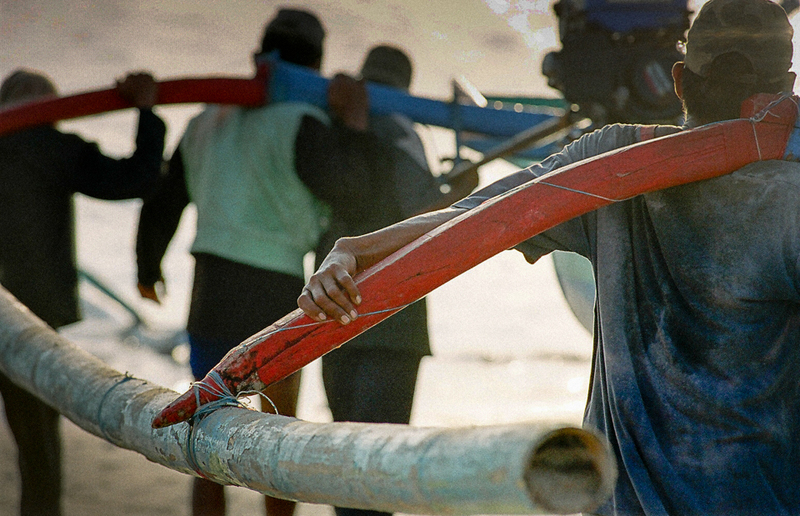 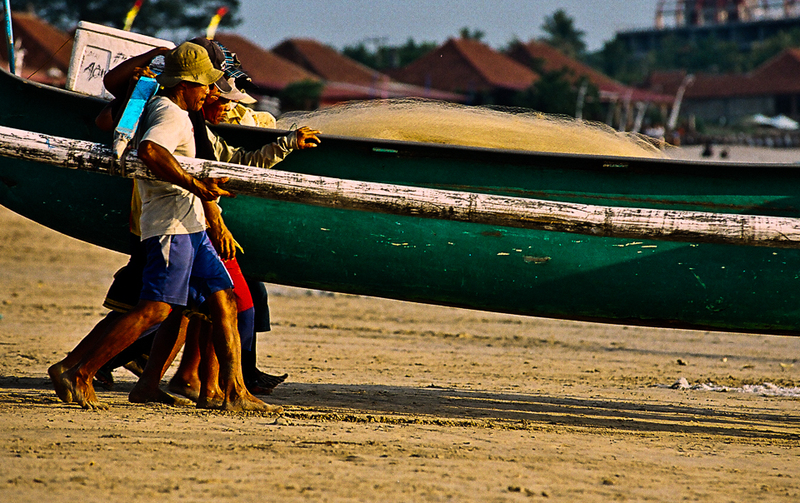 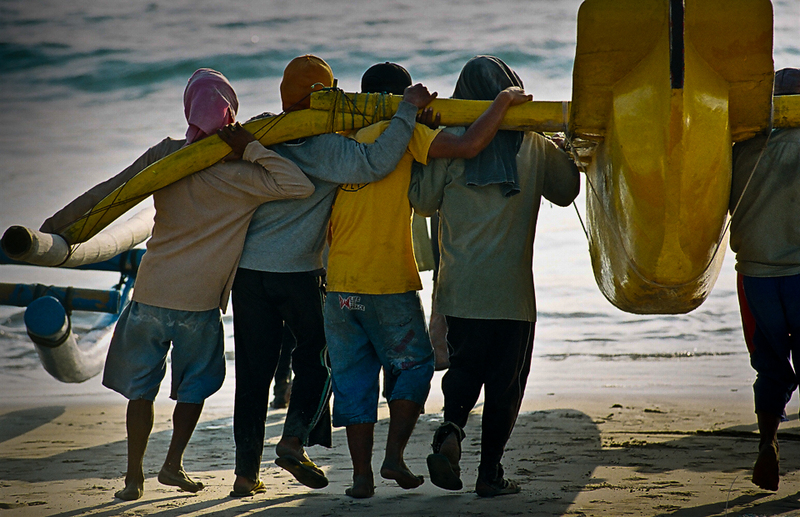 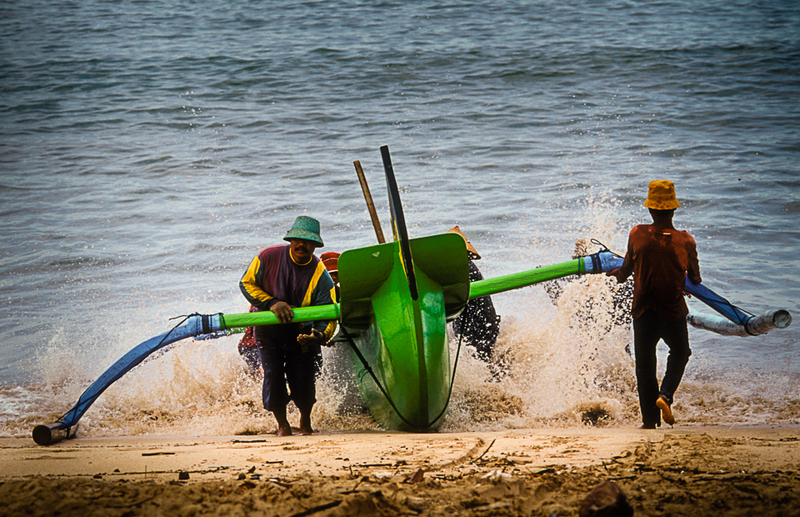 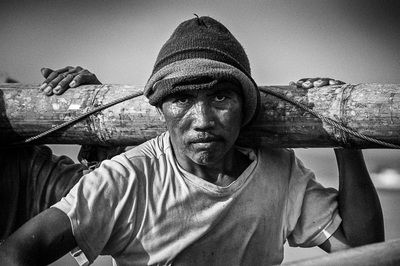 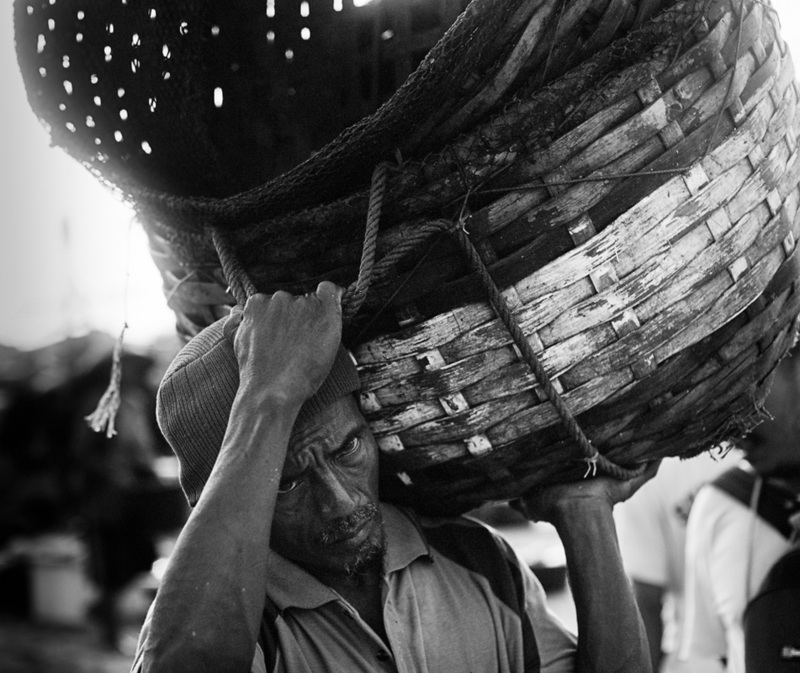 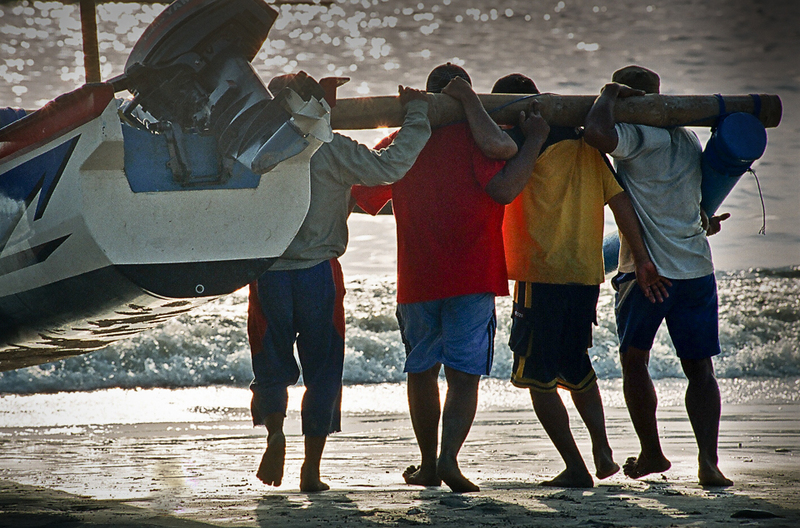 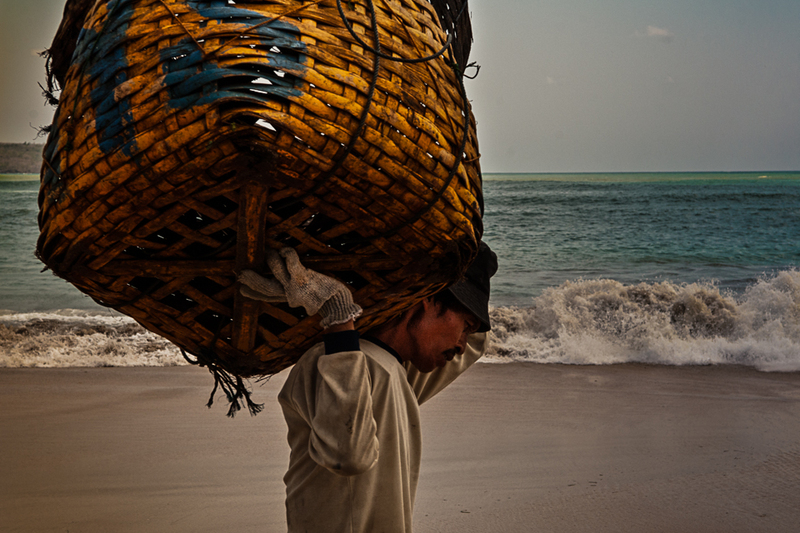 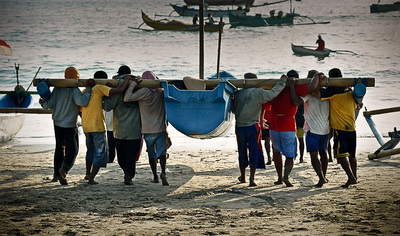 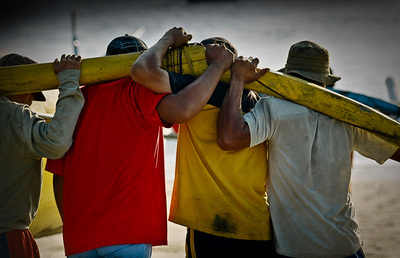 These perahus are carried, lifted and pushed by hand on the sand of Jimbaran by men who get paid a small token of fish for their hard labor. Everyday hundreds of kilo of fishes, mainly tuna, are brought to the market in Jimbaran. 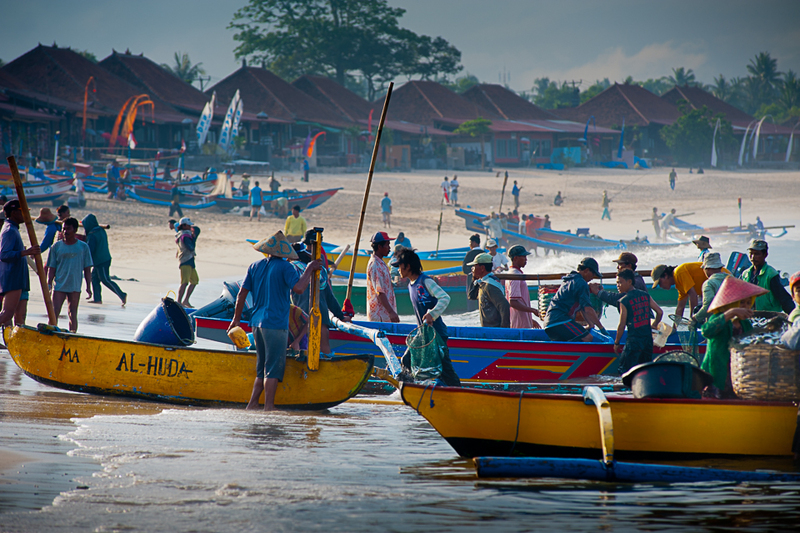 The majority of the hotels and villas in Bali get their daily supply of fish at Jimbaran market but most of the Tuna is shipped to Japan. To read more about this issue roll pointer on the photo of the tuna. 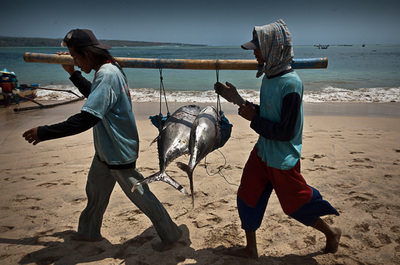 To read more about the issue of tuna depletion roll pointer on photo.